Bikes parked outside Amsterdam’s central station. Provincial authorities, transport regions and local councils are investing €245m in a national plan to persuade an extra 200,000 people to take the bike to work, RTL Nieuws reports. The plan comprises 25,000 additional bike parking places and a number of new fast biking routes. The government has pledged another €100m to the project. Some of the money will be spent on bike parks at Amsterdam’s Central Station, Heerlen station and Rotterdam Central. In order for cycling commuters not to be held up by traffic lights or at crossings, 15 fast bike routes across the country will be constructed or adapted, among them the route Utrecht-Amersfoort and Assen-Groningen. 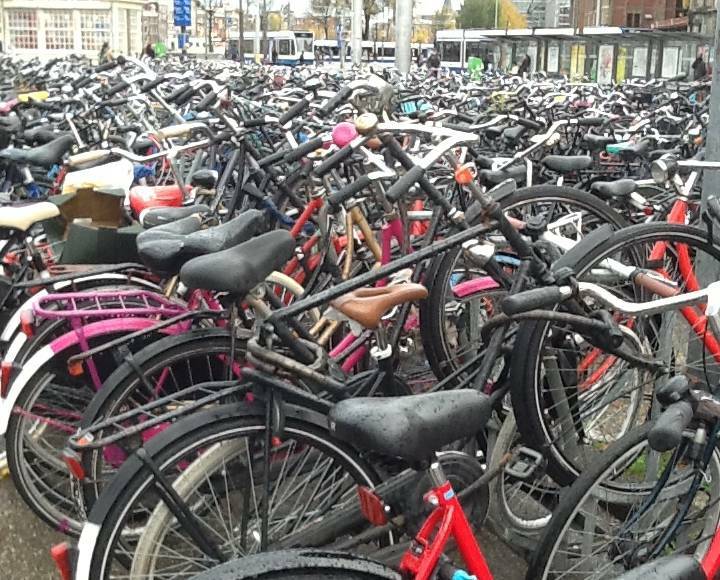 The ministry says there are some 23 million bikes in the Netherlands, for a population of just over 17 million. Since 2005 the number of kilometres cycled by the Dutch per year has risen by 12%.